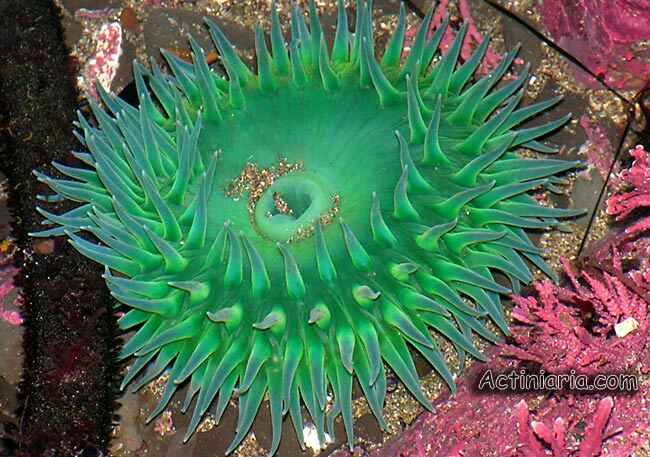 Anthopleura xanthogrammica is a large green species occurring in North-East Pacific. 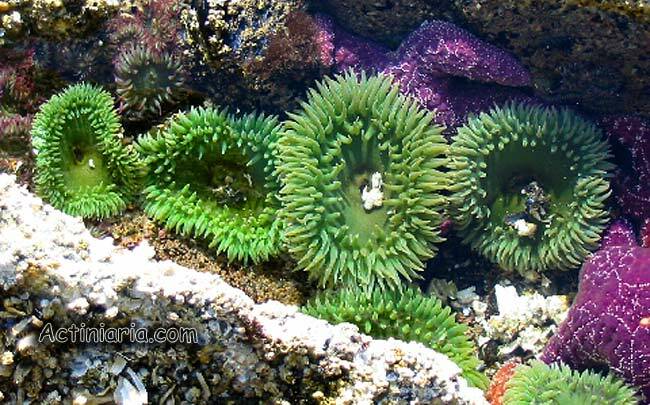 This spectacular species can be easily identified on underwater photos of living specimens. In North-West Pacific, this name was applied to another, much smaller and very different species. However, true Anthopleura xanthogrammica does not occur in North-West Pacific.